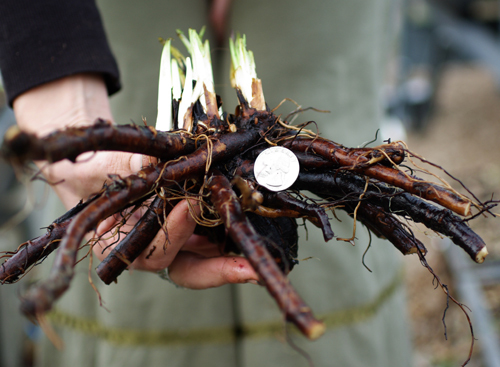 This one is a strong growing clump forming sterile hybrid that will not self sow and run a muck in your garden and can only be propagated by division and root cuttings. 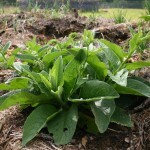 If you’ve been interested in comfrey but wary of it’s rapid growth, “Bocking 14” may be just the ticket. They can go to 3 1/2’ tall and 2.1/2’ wide and is fully hardy thru at least zone 4. Russian comfrey is well known as a soil and compost builder as well as a plant growth stimulator when used in tea. 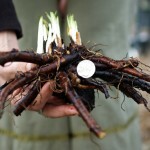 All varieties of comfrey are both medicinal plants and dynamic accumulators; bringing nutrients to the surface that is released in the leaf litter from deep in the soil. ‘Bocking 14’ produces a great amount of biomass useful for mulching, composting and creating compost teas. Chickens, pigs and goats love it too. 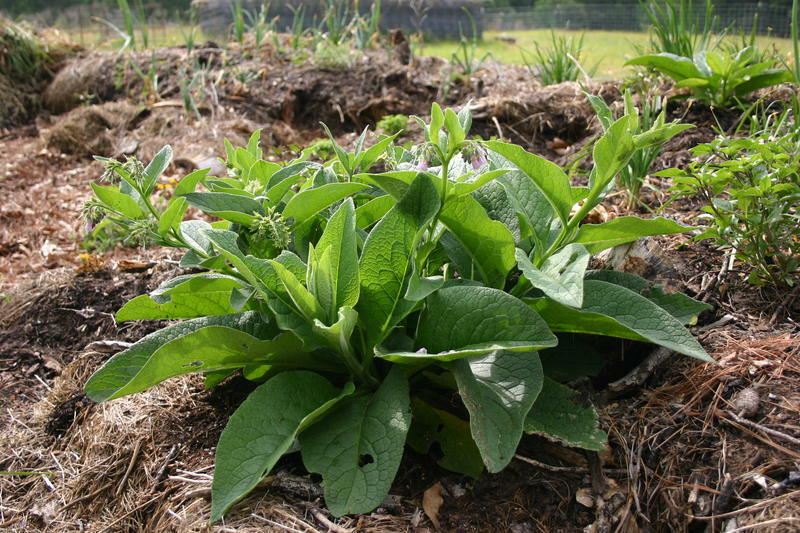 The “chop and drop” method of mulching with Russian comfrey is very low maintenance, suppresses other unwanted wild plants, brings nutrients to the top soil for fruit trees and other shallow rooted plants and creates habitat for spiders and snakes. large broadleafed comfrey - sterile variety!